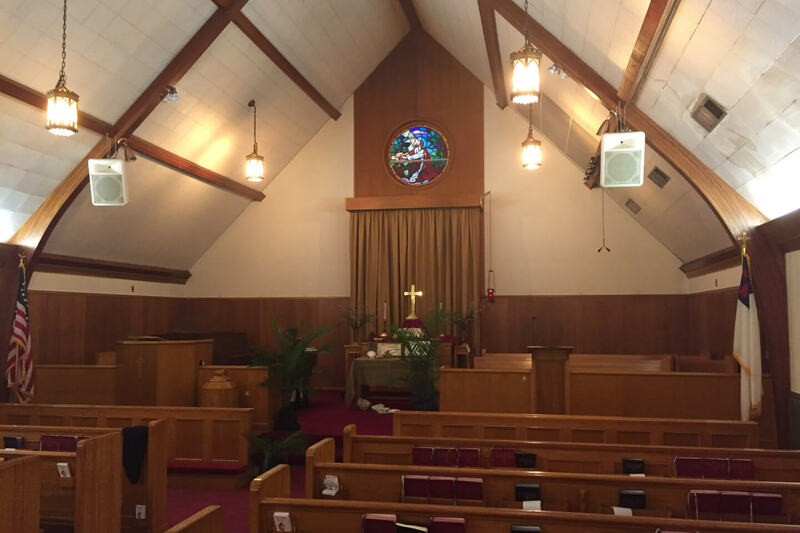 FUMC Sealy, TX was established in 1939 with the mergers of several churches. The current sanctuary was constructed in 1956. In large measure it has not changed much until this year. 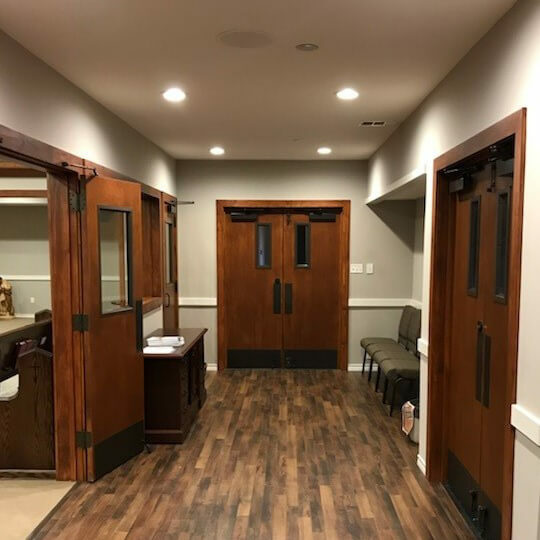 The building and interior of the sanctuary was still in use but experiencing many repercussions of aging including roof leaks, mold, and ministry style changes. 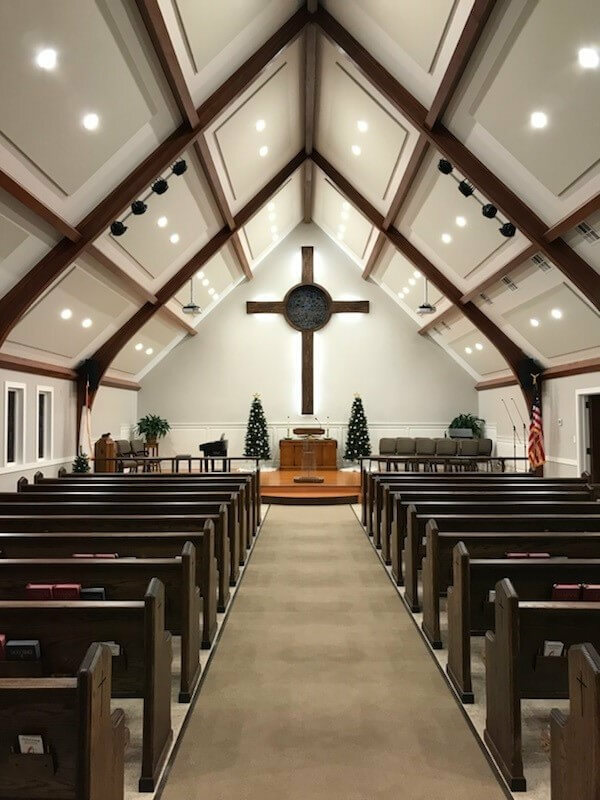 Novus Architects in conjunction with Church Interiors was called upon to create a substantial make-over within a modest budget. The before photo was how we found the conditions prior to the renovation. 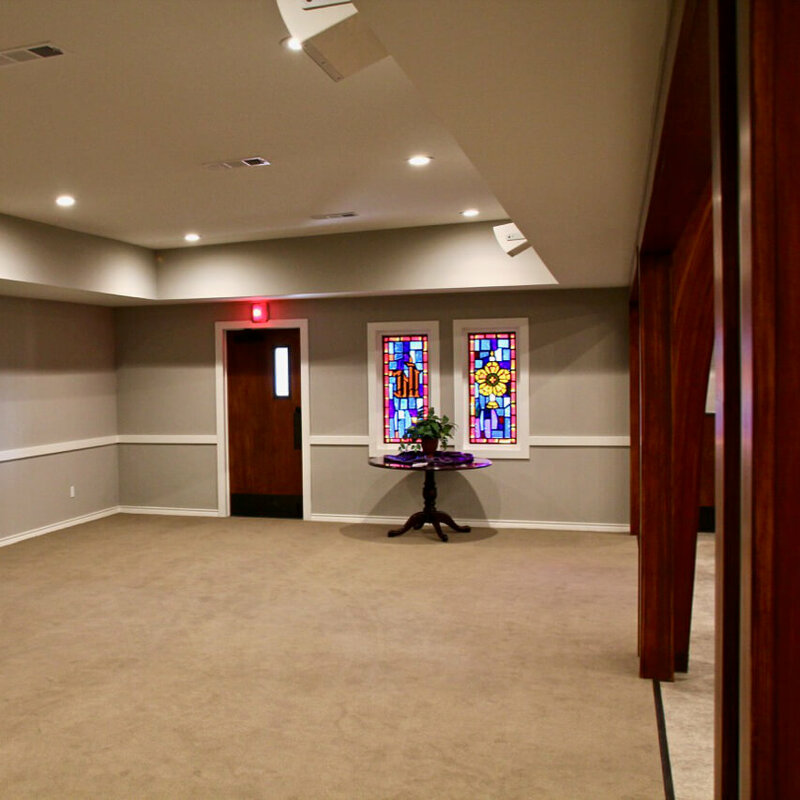 Several design and interior changes were made to breathe life back into an important worship component of the campus. 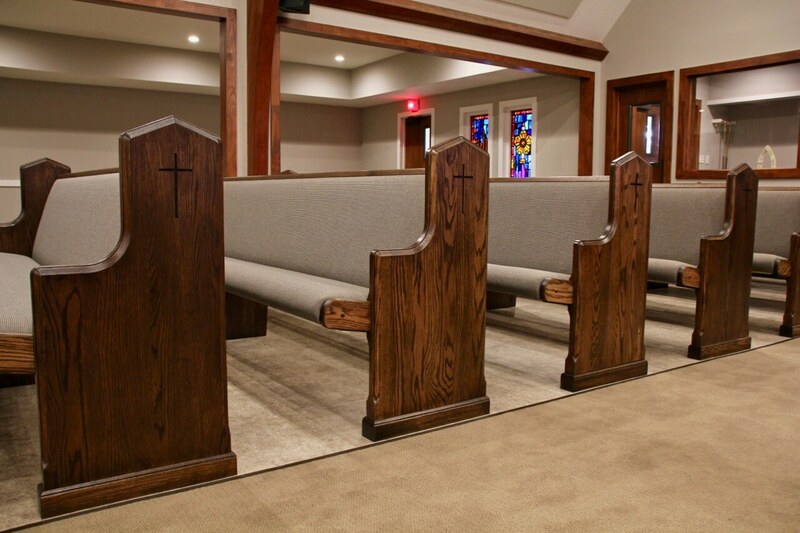 A new platform design, simplified communion rail to open up the platform, wainscot, accent of the round stain glass with a strong cross element, new lighting, acoustical treatments, pews and floor finishes transformed this space into a welcoming, transitional chapel style that has enhanced worship and given dignity back to one of the more prominent churches in the town.